Asheville, North Carolina, July 24, 2017 – (INTUITION) – The first half of 2017 elevated Resort Travel & Xchange’s position as the leading global timeshare exchange company resulting from the diverse service enhancements that allow members to experience a world of exchange that revolves around their vacation satisfaction. The mid-year review of RTX’s exchange transaction increases is indicative of the company’s acceleration within the industry since starting in 2012. The current calendar year has seen a 32% increase in exchanges and 20% increase in all other transactions compared to the first half of 2016. Each month RTX has organized various strategies to provide superior service to its members and the community. In January, Resort Travel & Xchange fully automated the survey process with GetFeedback to seamlessly survey and collect feedback from members related to customer service as well as their resort experiences. RTX announced in February that member transactions had approximately tripled in 2016. This is in part due to RTX’s communications team helping members better understand how to use their membership through RTX Traveler. The quarterly publication won the 2017 Perspective Magazine Award for Best Print Media at the GNEX Conference, which RTX attended and sponsored at the beginning of the month. During March, RTX attended, sponsored and exhibited at ARDA, where several RTX representatives were able to showcase its successful exchange platform. The RTX website was redesigned earlier in the month to improve experience, functionality, and responsiveness. In April, RTX made the company and team’s passion for the community and social responsibility official with the Charitable Giving Plan. At the Timeshare Board Member Association Conference and C.A.R.E. Conference RTX continued to develop relationships with top executives in May. RTX also introduced their network of breathtaking destinations in the newly designed RTX Traveler publication. As a result of the prominent presence Resort Travel & Xchange continues to maintain, RTX announced a new partnership with Tahoe Sands Resort. New owners of the property are enrolled as RTX members and were given one to three free years of RTX’s Premium Plus membership. This month RTX spotlighted it work with Helpmate, United Way, Asheville Buncombe Community Ministry and Just Economics, nonprofit organizations in its employees’ community. Resort Travel & Xchange encourages employees to contribute to the community’s wellness and offers four hours of paid volunteer time each quarter and the RTX team put their time to altruistic practice. RTX members enjoy low exchange fees, a long deposit life, attractive rates for cruise exchanges, earned rebates and great savings through Getaway Weeks promotions, among other benefits. The company provides partners with high-value services, as well, such as low-cost and personalized attention to owners, assistance with delinquent and unsold inventory, a rental platform, reservations services and more. 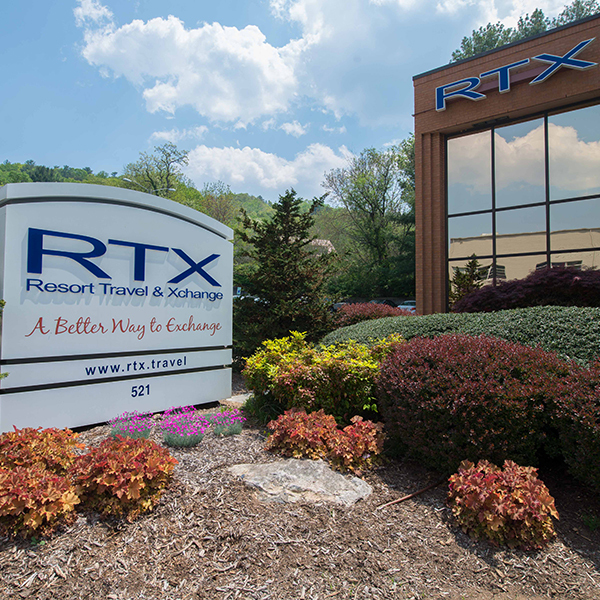 For more information on RTX, visit www.rtx.travel.